← How Does the Fourth Angel Lighten the World? Vitamin B12 is made in the digestive tract of animals, and is also present in the bacterial growth of the nose, mouth, base of tongue and upper bronchial tree. Vitamin B12 is also synthesized from food with the aid of intestinal bacteria. Microorganisms, primarily bacteria, are the only known organisms that manufacture B12. These bacteria often live in bodies of water and soil. Animals get B12 by eating food and soil contaminated with these microorganisms. These bacteria also live inside animals’ digestive tracts. 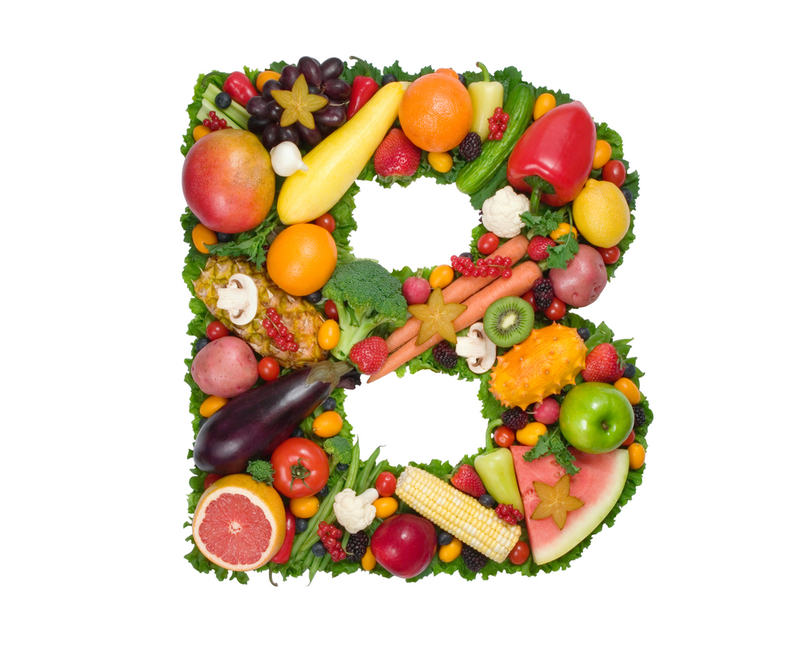 Plants do not require B12 for any function, and therefore have no mechanisms to produce or store B12. In animals, B12 is normally attached to a protein (very large molecules made up of amino acids) either for transport or storage. *From three studies done on B12 and the small intestinal bacteria, quoted by Dr Agatha Thrash in her book Nutrition for Vegetarians. All cells and nerves require vitamin B12 to function properly, especially nerve cells and blood cells, particularly those of the brain. It is essential for proper blood formation. What are the main causes of deficiency of B12? Lack of intrinsic factor in the terminal illeum of the gastro-intestinal tract. What is the intrinsic factor? The intrinsic factor is necessary for the absorption of B12. To insure that a person has this intrinsic factor, they should take note of the points under colon health. What interferes with the absorption of B12? Legumes and grains not properly prepared or cooked long enough. What increases the body’s need for vitamin B12? What are the vegan sources of vitamin B 12? It is interesting to observe that absorption and conservation of B12 are more important than the presence of the vitamin in the diet. Green vegetables eaten freshly picked. Not cleaning the teeth before breakfast. What increases the absorption of vitamin B12? Proper combination of foods—avoiding the combination of milk and sugar, and avoiding fruit and vegetables at the same meal. Long and thorough chewing of food. Including cultured foods as a regular part of the diet. Meals consisting of at least 50% RAW fruit or vegetables. Dr Kellogg states we should eliminate as often as we intake for example, three meals a day equals three eliminations a day! Eat largely of fruit and vegetables (60-70% RAW). Include cultured foods in the diet. At least half an hour’s brisk walking daily. Regular colon cleanses, if the colon is lazy, e.g., Colozone, colonic irrigations, Herbal preparations to cleanse and strengthen colon. How much B12 does a vegan need daily for optimum health? 0.1 micro gms, eg: 28.3gms ( 1 ounce) of the roots of leek and beetroot and other vegetables per day will provide 0.1-0.3 microgms of vitamin B12. Each of these statements is taken from page 313 of Counsels on Diet and Foods by Ellen G. White. I have found in my own life, as a mother of eight children and a naturopath, that the above diet amply supplies all the nutrients necessary for optimum health. Understanding that the vitamin B12 is a bacteria produced by the body helps to appreciate how it is used in the body, and where its sources can be found. The story of Daniel found in Daniel Chapter 1in the Bible also is an illustration that the Garden of Eden diet is the perfect diet for mankind preparing for his soon-coming Saviour. Nutrition for Vegetarians by Drs Agatha and Calvin Thrash. Counsels on Diet and Foods by Ellen G. White. Much of the above information was gleaned from the documentation and studies quoted in these publications. Posted on October 28, 2010, in Health Studies. Bookmark the permalink. 6 Comments. Don’t get me wrong by excessive opposing replies, I’m just trying to help. It remains your choice whether to dust away the information or try and learn more about it for the sake of your health. About articles of dress in which I almost became fanatical myself about with, releaved me to find out: “The dress reform was among the minor things that were to make up the great reform in health, and never should be urged as a testing truth necessary to salvation… I have in speaking upon the great subject of health, mentioned the dress reform as one of the items of least importance which makes up the great whole.” Review and Herald, October 8, 1867 (vol 1, p 74, col 1). About the sesame seeds, yes I have discovered their high calcium content recently and use tahini, thanks. It doesn’t rule out tofu because tofu isn’t fermented, I checked how its processing is made before when I used to consume it. I agree with what you are saying, I am against fashion. I will look up the blog on that. I also am not an adventist. Thanks for your elaboration. This is interesting and comforting to know. How about a blog about vegan calcium? In addition, you spoke about fermented carbs, but I think you should double check in this matter since Ellen White is against fermented foods. Ellen White opposes fermentation and this article may help you to think differently about fermented foods. To eat or not to eat such foods was a battle in my head but I guess the explanations here settle it. Hope it helps. Vanessa. I’m happy to learn that vitamin B12 is synthesized in our bodies. Some time back, I heared that the trees of life provide the us with B12 vitamin,is it true? What are trees of life?